MADRID — Sevilla coach Joaquin Caparros says he has leukemia but will stay on the job with the Spanish club. Caparros made the announcement after Sevilla's 2-0 win at Valladolid in the Spanish league on Sunday. "I have chronic leukemia but it won't keep me from doing my job," the 63-year-old Caparros said in the post-match news conference. "I'm living a normal life. I won't talk about the subject anymore but I wanted everyone to know that everything is OK."
Sevilla has won three of its four matches since Caparros, a former sports director for the club, took over from the fired Pablo Machin last month. 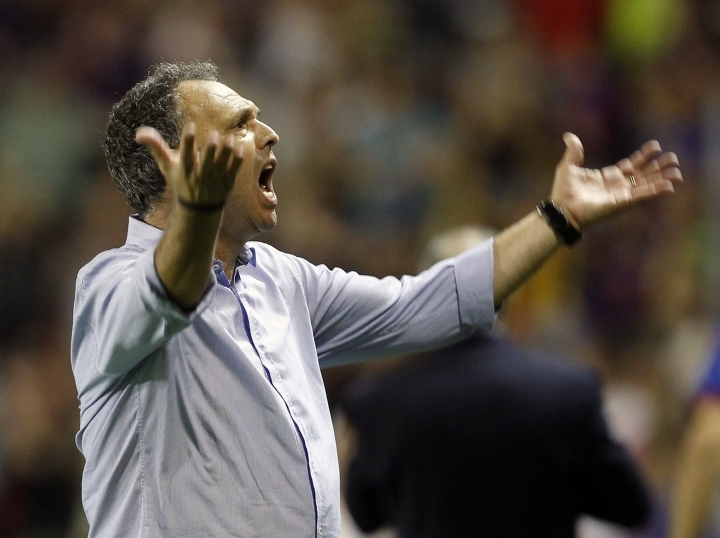 Caparros was also in charge for the final stretch of last season after Italian coach Vincenzo Montella was fired. Sevilla is fifth in the league, one point behind fourth-placed Getafe in the fight for the final Champions League spot, with seven rounds left. In 2017, then Sevilla coach Eduardo "Toto" Berizzo stayed on the job after undergoing surgery to treat prostate cancer.